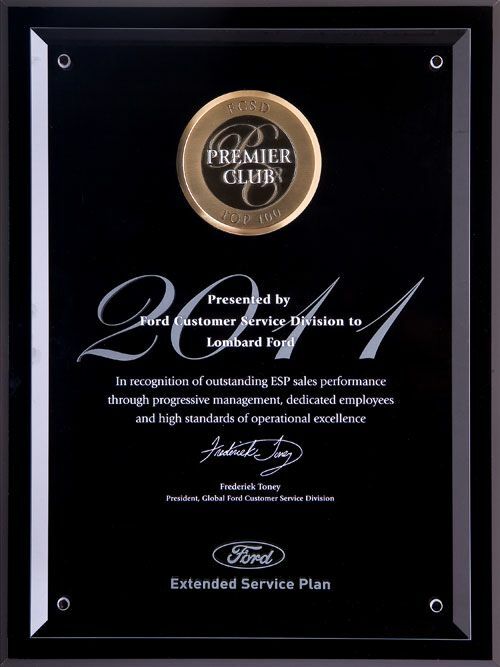 About Us - Lombard Ford - Award Winning Dealer. 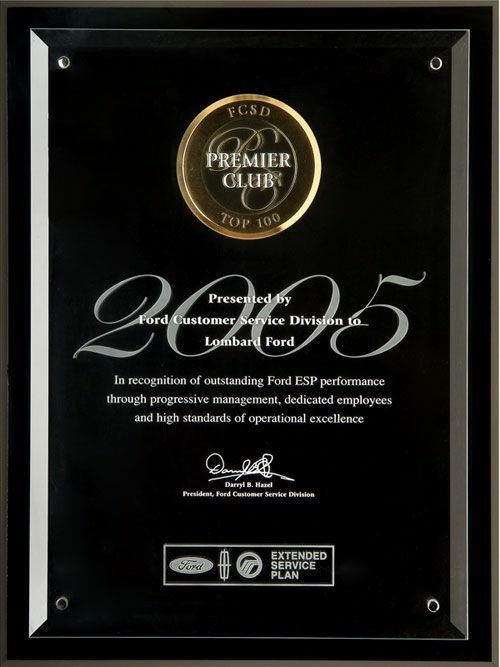 Offering Genuine Ford ESP On The Web Since 2002! 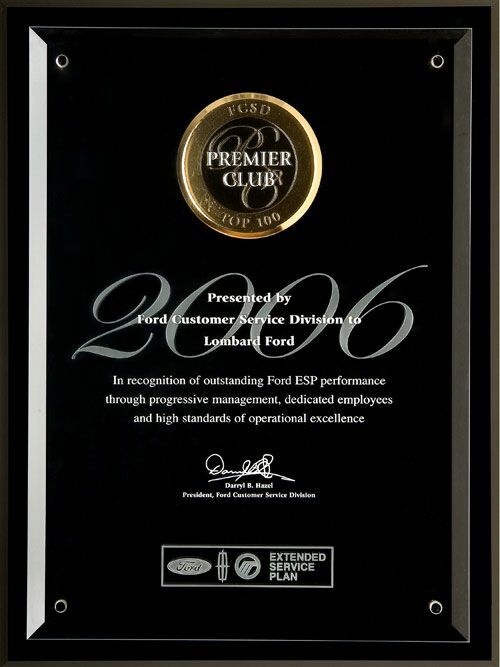 www.lombardfordwarrantys.com is owned by Lombard Ford, Inc., an award winning Ford dealership since 1982, who has repeatedly earned the highest praise for customer satisfaction from both Ford Motor Company and their customers for the excellent value in sales and service they provide. 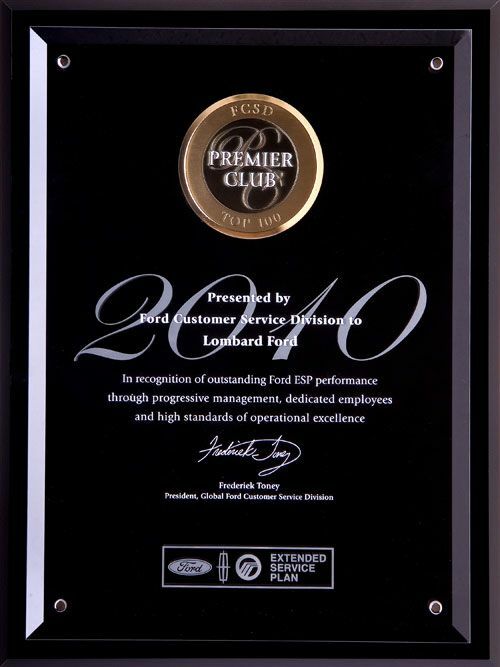 This same value and quality of excellence was brought to the online community in 2002, when we launched our original website www.fordwarrantys.com. 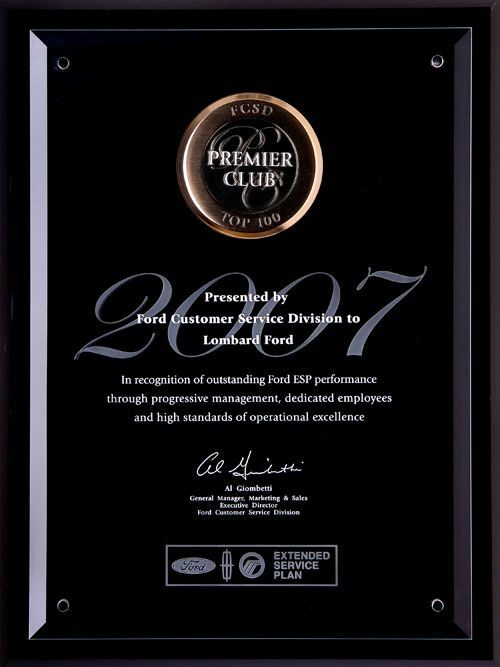 Our objective back then, as it is now, was to serve the online shopping community of Ford, Lincoln and Mercury owners who desired to purchase genuine Ford backed extended warranty coverage for their vehicle at a great value instead of one from an online third party provider. Many of the third party providers that were selling online back then are no longer in business today! 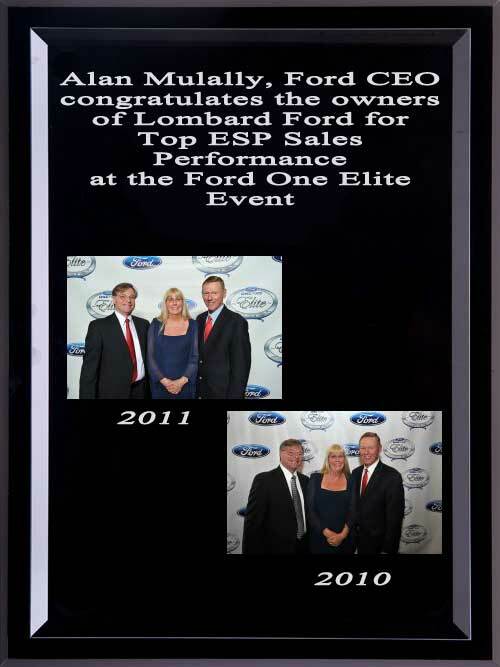 Alan Mulally, Ford CEO, congratulates Rob & Patty Lombard of Lombard Ford for 2011 Top ESP Sales Performance at the Ford One Elite Event. When you are looking for savings on the purchase of a Ford ESP plan look no further as only a Ford dealer, as us, is able to offer you those savings. 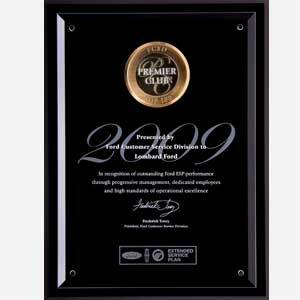 You will not find these savings from the Ford Motor Company website because they can´t compete against their franchised dealers and locally the Ford or Lincoln dealer does not sell a high enough volume to make it profitable. 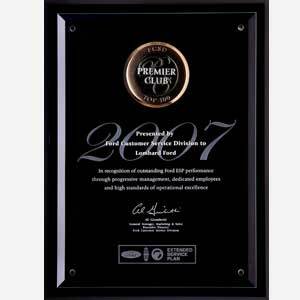 In our 15 years of online sales, the total combined savings we have provided our customers from the regular retail price is over $10,700,000. That is a lot of savings! The Ford President's Award. This makes 6 times in 10 years that Lombard Ford has received this highest honor bestowed by Ford. 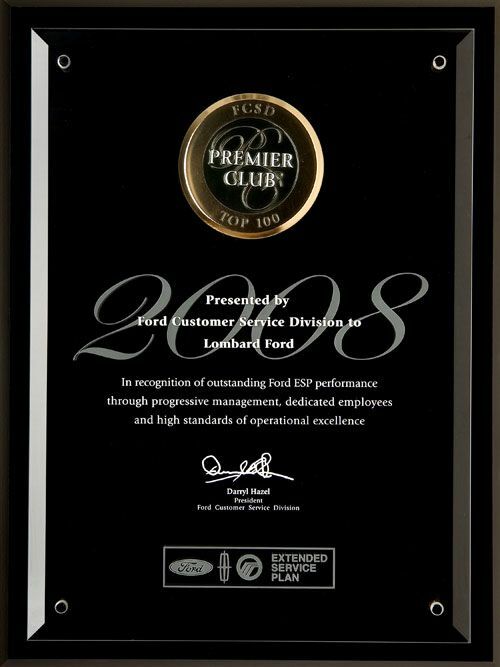 Only the Top Ten Percent of Ford dealers in the country receive this exclusive honor based upon their performance in Customer Service and Sales achievements as reported by their customers. No other dealership in our area has attained this level of consistent Customer Satisfaction. 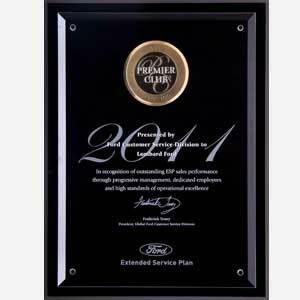 Most Ford dealers never receive this award! We've won it 6 times! 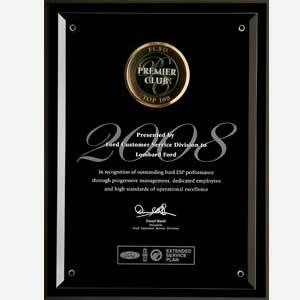 The prestigious award honors dealerships that have excelled in automotive retailing, by providing exceptional customer service and satisfaction. This year, Ford honors 380 Ford dealers across the country for delivering a superior customer experience in sales, service and overall ownership of their Ford vehicles. 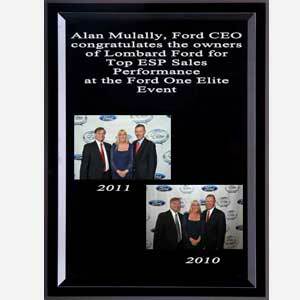 You can purchase Ford ESP quickly and easily from the comfort of your home! Thanks Jack! I appreciate the great customer service. You guys are very professional, and I´ll be contacting you again to purchase my next Ford ESP plan. Thanks. You guys are cheaper than anyone else for this coverage. 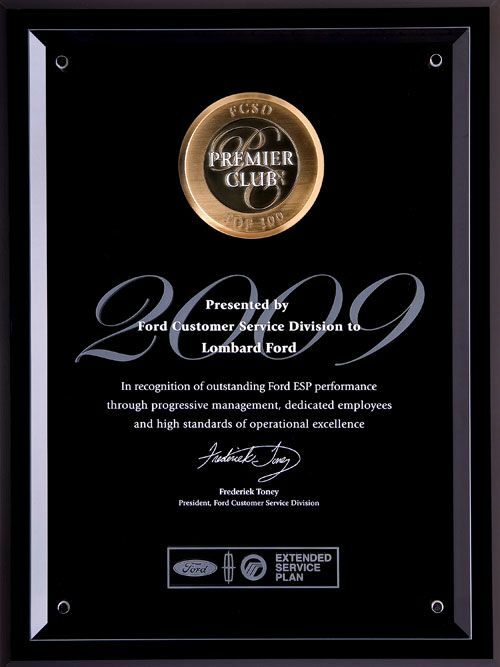 So far I am very pleased and willing to promote the Ford ESP products and Fordwarrantys.com as the place to purchase it. I will pass on your info to anyone I know looking for an ESP plan. Thank you it was good doing business with you folks. I am happy that I found you. Should be sending a lot of business your way!! !